On the site of the former stone quarry lay The Catacombs of Paris; a famous labyrinth of underground ossuaries dating from the late 1700’s. 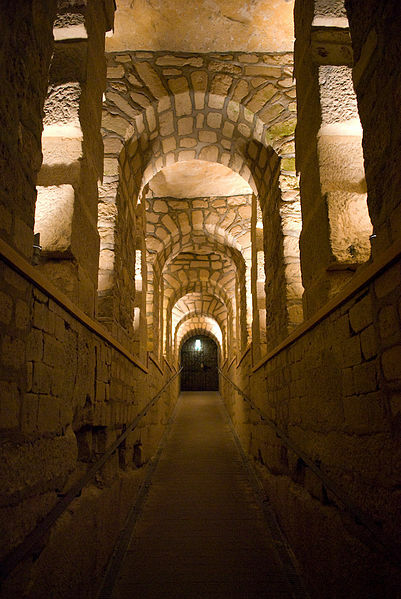 As well as luring modern-day tourists with a fascinatingly dark history, a climb down the 130 steps past layers of ancient rock into the underworld of the French capital is perhaps the closest you can come to experiencing time travel. The City of Light, long before its role in the Age of Enlightenment or gas lights illuminated its streets; was home to a tropical sea whose geological history can now be observed by studying the rock layers beneath. From the catacombs on Paris’ 14th arrondissement, a trip back in time of around 53 million years would leave you surrounded by a vast marshy plain covered in rivers and vegetation, which thrived in the tropical climate. Later, the area was involved in the formation of the Pyrenees and the compression fractured and folded the geological layers of the earth so later the high ground created was gradually eroded. The geology also explains how Montmartre remains as an isolated hill on the otherwise flat landscape as this area sat on more resistant rock. Around 10 million years later the Lutetian Sea from Europe washed in over the eroded ground of northern France. As the continents drifted toward their modern positions, during the Lutetian geological age (named after the Roman name for Paris) the area was submerged meaning sediment (from shell, coral, algal and calcium carbonate from the water) could accumulate to form limestone. This Lutetian Limestone is known as the famous creamy-grey Paris stone which illuminates the city and has been carved out into the city’s most famous buildings, such as the Louvre and Notre Dame Cathedral. Many fossils have also been perfectly preserved in the rock which not only supports theories of continental shift but allowed Jean Baptiste Lamarck to document and classify the fossils and outline one of the first theories of evolution in 1809. Therefore the rock not only built Paris but made invaluable contributions to the beginnings of modern paleontology. The fossils were discovered when around 300 kilometers of tunnels were excavated for stone during the areas time as a quarry. After a major mine collapse in 1774 led to the inspection of the extensive underground network, the tunnels were recognized for a new purpose. 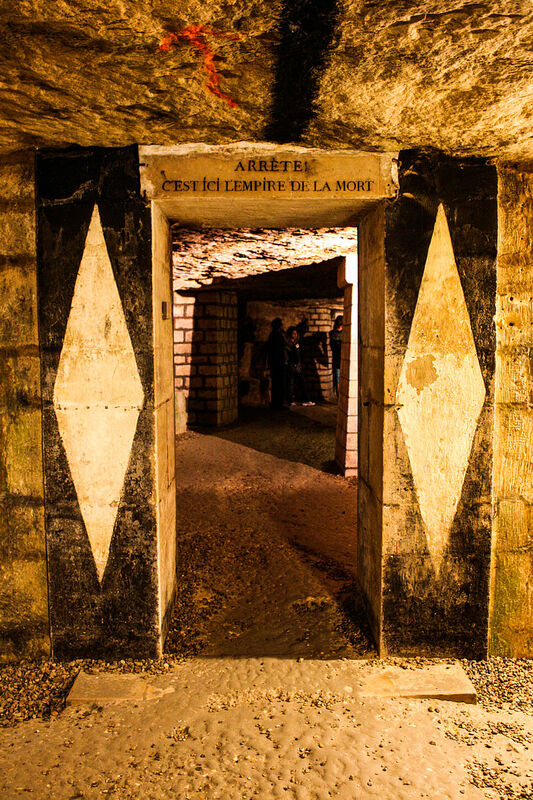 The labyrinth was chosen as the site for an ossuary to relocate the existing cemeteries; needed as the growing population of Paris had resulted in the saturation of existing cemeteries and the raising of public health concerns. Today a tourist entrance is located on present day Place Denfert-Rochereau, from where a little over a mile of the catacombs can be accessed for public exploration. Visible on the descent, before the eerie sight of one of the world’s largest graves is reached, is the lands geological cross profile and a water well known as ‘the quarryman’s footpath’ – a small clear pool that was uncovered by the quarrymen and cuts through the Lutheran lime stone. Though a passage 20 meters underground has to be taken, a journey millions of years back in time is not required for a glimpse of where the border between history and geological evolution is at its weakest.